Nick Kyrgios played out three tiebreakers during his four-set win over Denis Istomin in the first round on Tuesday, 7-6 7-6 6-7 6-3. The Australian has played 25 sets on grass this season, and 13 of those sets were settled in the tiebreaker. Former world #13 Nick Kyrgios avoided his second consecutive first-round exit from Wimbledon with that win against Denis Istomin. He has got a great record in the second round of this tournament having won all three previous such matches, against Richard Gasquet in 2014, Juan Monaco in 2015 and Dustin Brown in 2016. 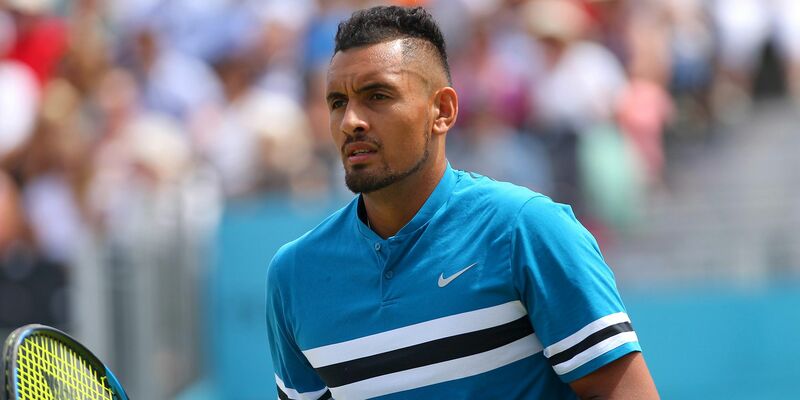 Nick Kyrgios played two warm-up events on grass before entering Wimbledon and made it to the semifinal in both the tournaments, at ATP Stuttgart (lost to Roger Federer) and ATP London (lost to Marin Cilic). Nick Kyrgios, who had to skip the French Open a few weeks back, defeated Viktor Troicki in the second round of the Australian Open earlier this season (home slam) and progressed to the round of 16. Robin Haase produced a solid performance to get the better of the big-serving Romanian Marius Copil in the first round, 7-6 7-5 4-6 7-6. The Dutchman will now make his sixth second-round appearance in Wimbledon with the only previous win at this stage coming against Fernando Verdasco in 2011. Before entering Wimbledon, Robin Haase entered three grass tournaments and ended up losing his second round matches in all three events, against Bernard Tomic in Hertogenbosch, Roberto Bautista Agut in Halle and Guillermo Garcia Lopez in Antalya. These two players met once in the quarterfinal of ATP Estoril in 2015 when Nick Kyrgios secured a comfortable straight set win (6-3 6-4). Kyrgios is serving extremely well over the past few weeks, and it will be difficult for Robin Haase to make inroads on the Australian’s serve.